What's a farm boy doing in Aerospace? This is the "I" bit. You can't or shouldn't get into business consulting without many years experience at senior management levels, which I have had both in the private sector and government. Industries I have worked in include aerospace, marine, farm machinery and retail industries with responsibilities in general management, marketing and export. There has been some study. My qualifications include B. Ag. Econ (University of New England), MBA (University of New South Wales) and a Diploma in International Marketing. For over 24 years I have been helping small and medium enterprises (SMEs) years as a business consultant, helping them get back on the path to profitability and growth, finding the leaks, plugging the holes. You might well ask how did a bloke with qualifications in Agricultural Economics end up in the aerospace industry. Good question too! 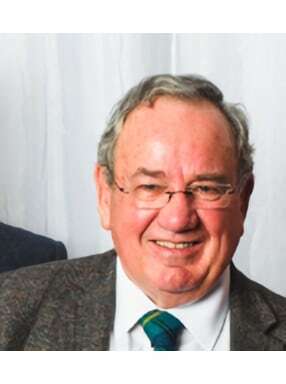 It turns out Agricultural Economics was a very good "agri-business" degree, and greatly advantageous when I did my Masters in Business Administration. I found I had already studied many of the required subjects. But whilst studying my Bachelor degree I realised that I didn't want to go back on the farm, as originally intended. It was too small anyway to make a real living. So why aerospace? Well I was always a bit of an aircraft nutter really. Read all the boo ks, knew all the shapes. It seemed just the thing for a young farm boy. 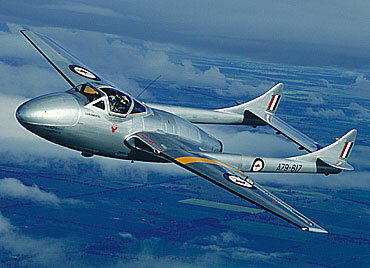 How many of you had done full aerobatics in a de Havilland Vampire (Naval jet trainer) at 15 years of age? And why move on? Well, I was then 32, International Marketing Manager, reporting to the Commercial Director on the Board of Directors. The obvious question then was, where was my growth path? In essence I assist SME's who are struggling with cash flow, profitability and available management time. SMEs know they work hard, are good operators in their area of business but are always short of cash and do not have the time to enjoy what they do. Because they are always busy, they lack the time to identify the key constraints on them and their business. If you are like us you know when you have done a good job, or really helped a client. And I bet you felt really good about it. So do I Fundamental to what I do is my client care commitment and the fact that I enjoy what we do. I get a real buzz when I see the well being and financial position of my clients improve. When I've found and plugged the profit leaks. If you are a typical business owner or manager you started your business because you are good at what you do, and that has got you to where you are today. But to keep building your business you may need guidance or assistance in areas in which you haven't had the time or opportunity to develop expertise. For most small and medium businesses these may be developing a clear strategic direction, developing effective management systems and processes, understanding financial management, or how to effectively market you business. Profitability is not optional! Have a look at our "How to Improve Profits and Cash Flow Model" and our Services on our web site then contact us for a chat. Some people promise solutions - we provide results! All the information I provide through articles, teleclasses, etc., is built on learning from years of experience in managing, observing and advising businesses. You're good at you job, what ever your specialisation is. And I bet you can look at a job, and without asking a question, know whether it is being well done. Because that is what you do, that is what you know. And that is what I do - walk into a business and observe, listen, ask some questions and know whether it is a good business or not. I remember inspecting a manufacturer of electrical products in Hong Kong many years ago. Not my field, my experience was in the metal working industries. When I walked out I said to my Hong Kong colleague, "there's something not right here, I can't put my finger on it, but its not right." I was assured that Mr. So and So was very successful businessman, drove a couple of prestigious cars and that it was a good business. A few months late my colleague rang me to say "I don ‘t know what you saw, but Mr. So and So's business has just collapsed." Now I can't promise that I'll spot the problem every time, but I do have a lot of experience to draw upon, experience to help you find and plug the leaks in your business. Have you ever felt like doing something downright silly, even insane? Have you ever found yourself in one of those situations where things are downright difficult, disaster is staring you in the face, and all that is left is to say "there's gotta be a way outa here"? Many years ago I found myself in the latter situation because of the former decision. I'd been studying my Master's degree part time, while clawing my way up the company ladder in my aerospace industry days. It was pretty hard yakka. I was doing more hours at lectures than I did in my last year of my full-time Bachelor's degree, let alone the assignments that an MBA demanded, plus growing company responsibilities. To use the vernacular, I was knackered. I was looking for a less cerebral challenge. Challenge - hmm. Why don't I ride a motor bike to England? Never mind I'm not very good at mechanical things. Never mind that the 250cc bike I've got is not suitable. Never mind that in the 1970's Indonesia was not particularly happy with Australia so I couldn't go through there. Malaysia was but I couldn't go through Burma (full of bandits), nor Bangladesh (just had a war to separate from Pakistan. That's alright; I'll ship to Sri Lanka and go from there. So I did. Let's skip a bit to get to my opening para above. Picture this. Its about 5.30 in the evening - dusk. Light is fading, and light rain is falling. The road is pretty straight and a gentle decline sloping ahead. At my feet, lying on its side, is my motor bike. The front forks have collapsed, the front wheel hub is fractured, there is no-one around. Where am I? I'm geographically dead square in the middle of the Asian side of Turkey. And what came to mind - "There's gotta be a way outa here!" The bike -what was I riding? For all you classic bike fans, it is a 1969 Triumph Trophy, ex-New South Wales Police. Notice I said "is". I still ride that bike. It's a bit like Grandma's axe (3 new handles, 2 new heads, but still Grandma's old axe). Now the reason I tell this story? How often have we found ourselves in s difficult situation in our business, cash flow is tight, we're working hard but we are not making any money. I can't see the way ahead. I thought businesses are supposed to be profitable. THERE'S GOTTA BE A WAY OUTA HERE! Yes there is, and I'll help you find it, just like the Turkish truck driver who helped me.